Inaugurating the newest addition to its award-winning fleet, the S.S. Maria Theresa, in Amsterdam on March 26, 2015, the Uniworld Boutique River Cruise Collection will be naming Princess Anita von Hohenberg its esteemed Godmother. A direct descendant of the great Maria Theresa of the powerful Habsburg-Lothringen dynasty, Princess Anita – great-granddaughter of Archduke Franz Ferdinand and Duchess Sophie von Hohenberg – has said she feels honoured to christen her ancestor’s namesake ship. Princess Anita comes from a long line of Habsburgs, one of Europe’s oldest sovereign families, dating back to the 15th century. And the much-loved Maria Theresa was one of its mightiest figures, and the only female ruler of the Habsburg Empire. 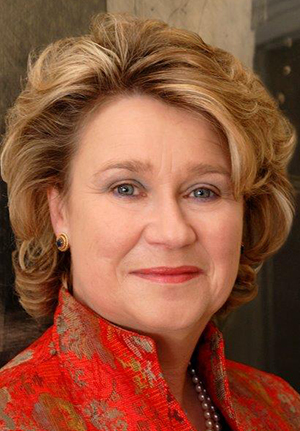 More recently, Maria Theresa’s descendant Princess Anita has served for the past three decades as the Managing Director and owner of the centuries-old Artstetten Castle and Estate in Lower Austria. The former summer residence of the Imperial family, the castle today is open to the public and serves as the final resting place of the Heir to the Throne, Archduke Franz Ferdinand of Austria-Este, whose assassination in 1914 set off a chain of events that led to World War I. Facilities on board the S.S. Maria Theresa will include a main lounge with full-service bar, the Bar du Leopard, restaurant, terrace, sun deck, heated swimming pool, well-equipped fitness centre, Serenity River Spa™, boutique, 24-hour speciality coffee and tea bar, free Internet and Wi-Fi access and a cinema. 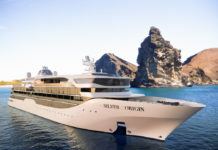 The lavishly appointed riverview staterooms and suites (with French balconies on the Main and Upper decks) will feature handcrafted Savoir of England beds, while marble bathrooms include L’Occitane en Provence products, plush towels, cosy bathrobes and slippers. 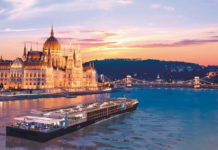 The ‘European Jewels’ voyage on Uniworld’s S.S. Maria Theresa will cruise the Danube River through the heart of Maria Theresa’s vast former empire from Budapest to Amsterdam, a 15-day all-inclusive itinerary with prices from £3,599 per person. For details or to book call Titan on 0800 988 5873 or visit their website.